Trump has fired Secretary of State Rex Tillerson, and announced CIA Director Mike Pompeo would be nominated to become the new secretary of state. Trump also tapped CIA Deputy Director Gina Haspel to head the CIA. Haspel was directly involved in the CIA’s torture program under George W. Bush. On Tuesday morning, President Trump fired Secretary of State Rex Tillerson via Twitter. In the same tweet, the president announced CIA Director Mike Pompeo, who is a close ally of the Koch brothers, would be nominated to become the new secretary of state. Trump also tapped CIA Deputy Director Gina Haspel to head the CIA. Haspel was directly involved in the CIA’s torture program under George W. Bush. She was responsible for running a secret CIA black site in Thailand in 2002 where one prisoner was waterboarded 83 times and tortured in other ways. Both Mike Pompeo and Gina Haspel must now face Senate confirmations, but barring any Republican defections, both can be confirmed without any Democratic support. Last year, the European Center for Constitutional and Human Rights asked German prosecutors to issue an arrest warrant for Haspel for her role in the torture program. Former CIA officer and whistleblower John Kiriakou personally knew CIA director nominee Gina Haspel when he worked at the CIA. But their careers have taken very different paths over the past decade. 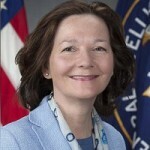 Haspel, who was directly involved in torture at a secret CIA prison in Thailand, has been promoted to head the agency. Kiriakou, who blew the whistle on the torture program, ended up being jailed for 23 months. Trump has tapped CIA Deputy Director Gina Haspel to replace outgoing CIA Director Mike Pompeo, after Pompeo was named to succeed Rex Tillerson as secretary of state. Haspel was directly involved in the CIA’s torture program under George W. Bush. She was responsible for running a secret CIA black site in Thailand in 2002 where one prisoner was waterboarded 83 times and tortured in other ways. But she enjoys broad support, including from the intelligence community and Democrats in the Senate. On Tuesday, President Trump announced via Twitter he was firing Secretary of State Rex Tillerson and tapping CIA Director Mike Pompeo to replace him. As a former Kansas Republican congressmember, Pompeo has a history of making Islamophobic statements. He’s also been a major ally to the billionaire right-wing Koch brothers. On one of the latest episodes of Jeremy Scahill’s podcast “Intercepted,” he interviews Democratic Congressmember Jan Schakowsky about Erik Prince, the founder of Blackwater, who is now under investigation by special counsel Robert Mueller.